Giving a “Natural High” demo from the stage of the UK hypnosis convention. Last weekend was the UK Hypnosis convention and I lectured on the subject of Placebo, nocebo and the relationship with hypnosis, the mechanisms which made these things work and so on. After the theory, I gave a small demonstration that someone in the audience filmed and that I thought I’d share here. The stage was a bit dark and the quality is not the best. This was a simple process based upon a technique explained in Assen Alladin’s book cognitive behavioural hypnotherapy for depression and the technique is entitled first aid for a bad mood. I combined some elements of it with a fun process that I used to use when I was much younger for fun, using old school rave music and hypnosis to create a natural high. 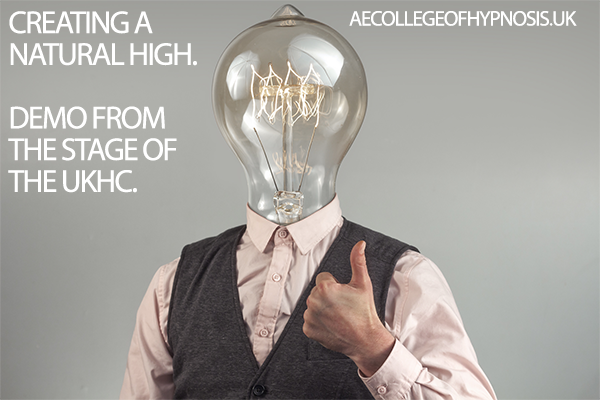 My aim was to create a measurable natural high and we sure managed that. My sincere thanks to my volunteer Eugen Popa and his partner Angela Nutu from the Romanian Hypnotherapy Institute for being my volunteer and for videoing the session. 1. Would you like a satisfying and meaningful career as a hypnotherapist helping others? 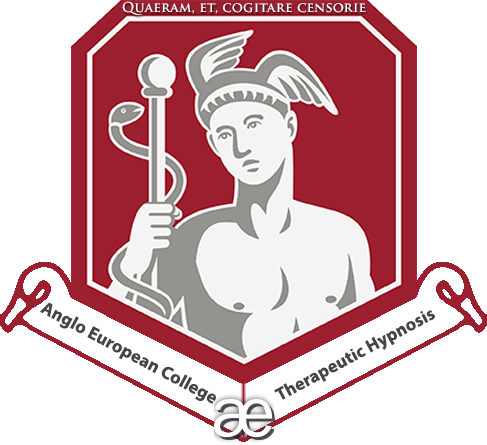 Are you a hypnotherapist looking for stimulating and career enhancing continued professional development and advanced studies? Explore the pages of this website. 2. Are you a hypnotherapist looking to fulfil your ambitions or advance your career? Likewise, if you’d like to learn more about self-hypnosis, understand the evidence based principles of it from a scientific perspective and learn how to apply it to many areas of your life while having fun and in a safe environment and have the opportunity to test everything you learn, then come and join me for my one day seminar which does all that and more, have a read here: The Science of Self-Hypnosis Seminar. Alternatively, go grab a copy of my Science of self-hypnosis book.